Head Start is available for children from 3 to 5 years old! Help families find resources in the community! Help parents gain positive parenting skills! Help children get ready for school! Building strong relationships with children and families is at the heart of our mission. Through these relationships, our highly trained teachers support children in developing many important skills through play and instruction. Our curriculum focuses on preparing children for kindergarten, with a strong emphasis on math, literacy, and language, as well as physical and social emotional growth. We individualize our activities, interactions, and goals to meet every child’s unique needs. Meal time is an extension of the curriculum and we enjoy two meals together each day in a family style setting. We support children in serving themselves as we encourage them to try new foods, discuss the importance of good nutrition, and engage in child-led conversations. We also brush our teeth together after each meal, and enjoy physical exercise on our playground every day to promote health and wellbeing. Our program embraces positive discipline techniques, meaning we support children in communicating and problem-solving to develop solutions to their challenges, instead of “punishing bad behavior.” We work to develop skill sets that enable children to express their emotions, share their opinions, and get their needs met in safe and healthy ways. Our goal is to develop little community members, ready to become part of a kindergarten classroom. Our highly trained staff provide quality screenings for hearing, vision, growth, and social emotional development, and support families with follow-up when needed. During home visits and conferences, we partner with parents to create individual child goals, as well as to set goals for the family, such as continuing education, buying a home, getting a driver’s license, and more! We value every parent as the child’s first teacher, and work hard to provide information and resources to meet the needs of the children and families that we serve! Our program is offered to children ages 3 to 5 years old (must be 3 by September 1st ). Please call our main office at 503-675-4565 and speak with an Enrollment Specialist today! 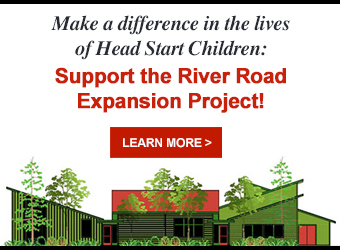 View the 2015 Oregon Head Start Fact Sheet to learn more!